If you receive pizza in a box that says “Made In Staten Island,” you may not want to give too much thought to its history. That stamp of origin means those boxes are made from trash. Before you get grossed out—who wants their cheesy goodness encased in trash?—it’s actually a pretty good idea for the environment. 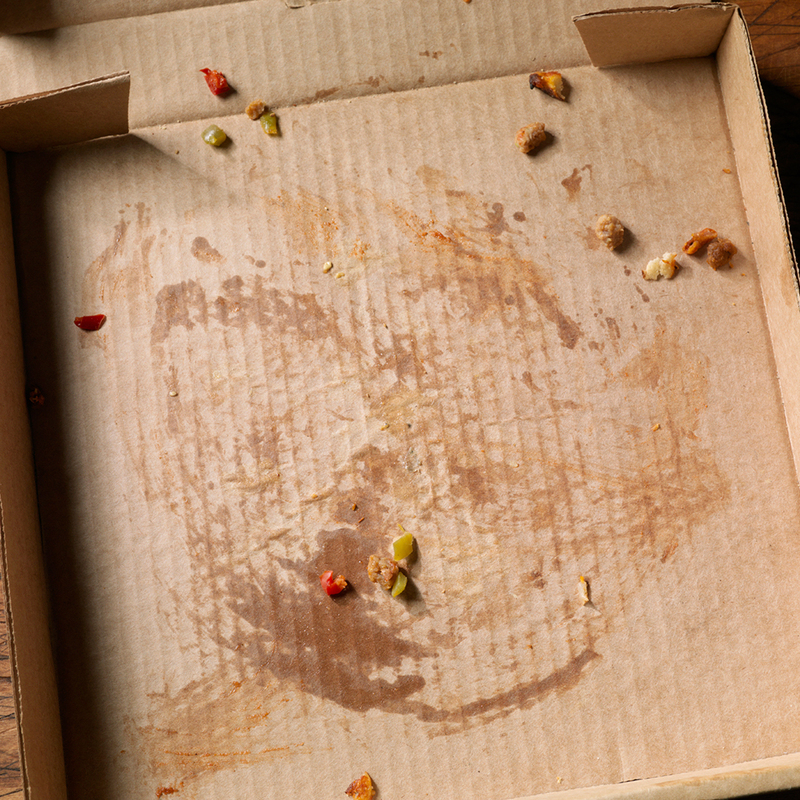 We can’t easily recycle our used pizza boxes owing to the grease remnants we leave behind, but if they start out recycled, that’s a plus. Recycled paper and packaging company Pratt Industries made 1,000 of these boxes and distributed them to nine NYC pizza places for free, in order to test the potential of more widespread interest. The boxes are marked with a “Made in Staten Island” stamp and feature the Verrazano-Narrows Bridge. NY1 reports that last year the Department of Sanitation collected over 300,000 tons of paper from NYC residents, including more than 25,000 tons from Staten Island alone—so there’s lots of material for further boxes if this idea gathers steam.